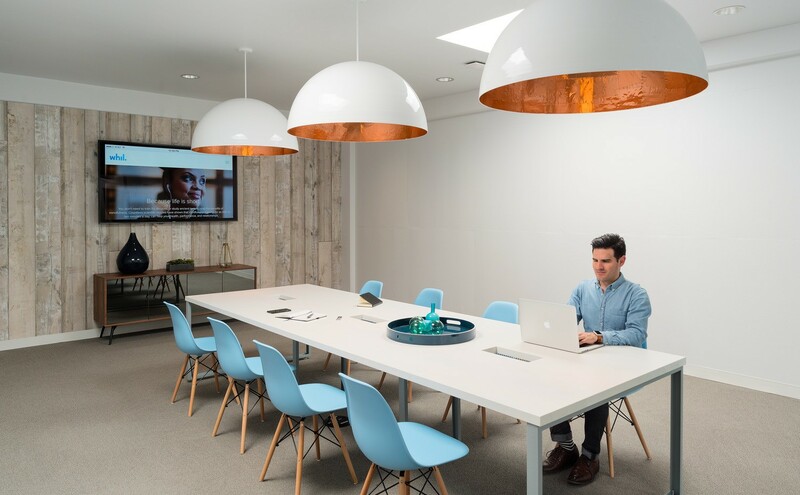 Whil, a San Francisco-based company focused on helping clients live healthier, happier, and more engaged lives by developing digital training programs, was seeking a headquarters where their own employees would experience the embodiment of Whil’s core workplace values. 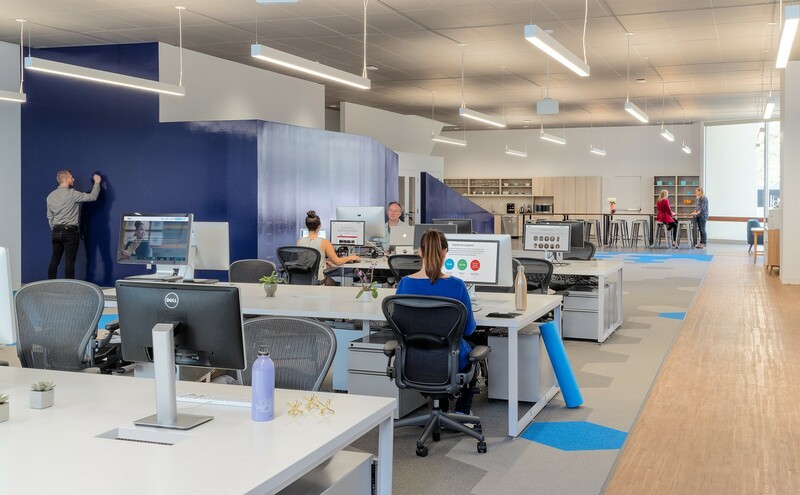 It was our team’s mission to design a healthy, creative, and collaborative space where Whil employees could experience the same high-quality work environment they provide to clients. 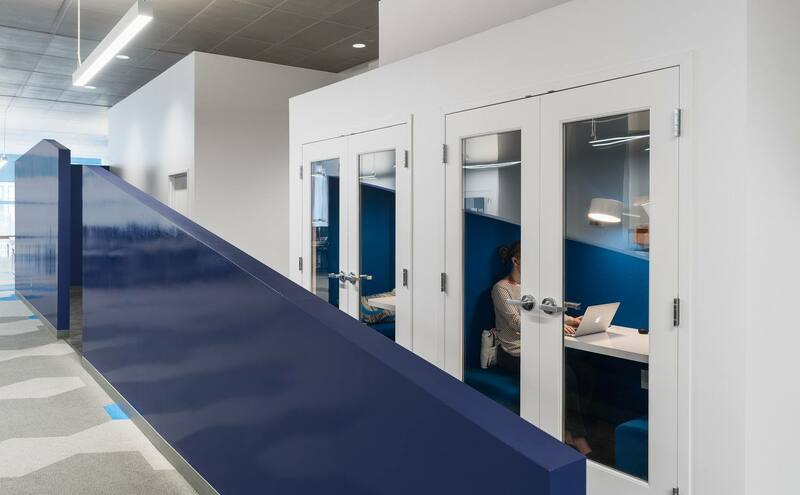 One of the most significant goals for the new 10,000-SF space was to minimize all potential external and environmental stressors, including fluorescent light, harsh sunlight, excessive background noise, and even temperature, to create a mindful and focused space for employees, free of distractions. Originally built to house a Bank of America branch in the 1990s, the existing design of the space went completely against the company culture and lifestyle that Whil so vividly promotes. 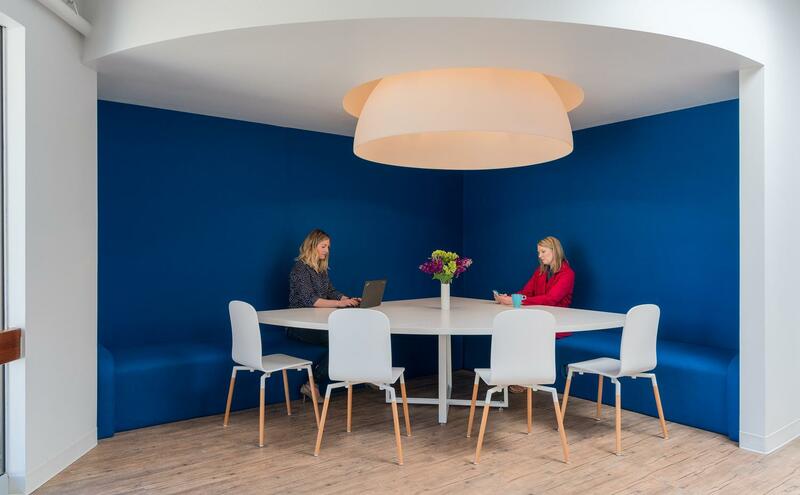 In order for us to transform the space to closely align with Whil’s values, we designed a flexible workplace with a range of postures and collaborative areas, including open workstations, phone rooms, conference rooms, breakout spaces, standing-height tables with stools and sofas. Whil also expressed that food is at the center of their community. Wanting to highlight this foundation, our team designed the kitchen as the focal point of the first floor, completely visible from the building’s entrance and providing employees another place to connect. 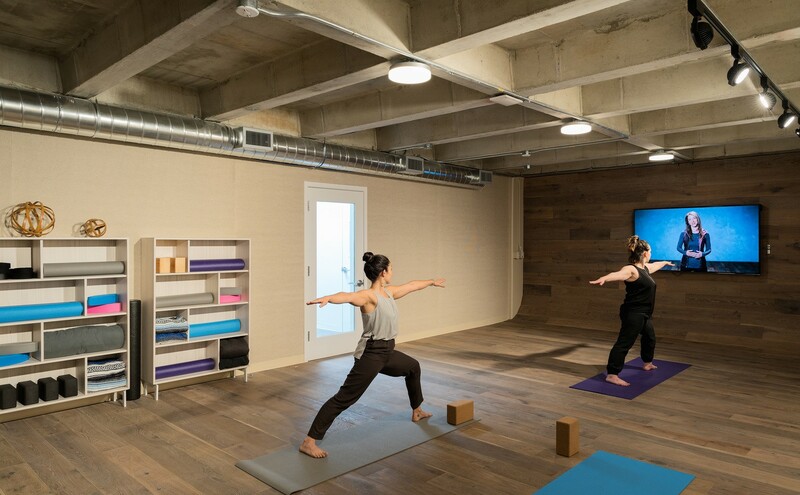 To further enhance their healthy mission, we transformed the solid concrete second floor of the space into a yoga studio and break room with lounge-style seating. Skylights were cut into the ceiling to increase the amount of natural light and collaboration-friendly furniture was incorporated throughout the space to promote a feeling of connectivity and comfort. The space is primarily an open floorplan, which also allows it to function as a flexible space for hosting events. Throughout both floors, we incorporated design elements that would be soothing, calming, and clean, giving Whil’s new office a modern, crisp finish that truly brings mindfulness to life.